You’ve been hoofing it all over downtown, seeing the sights, or giving your out-of-towner family a tour. Now you need to top it off with a good meal, and more importantly a killer brew. 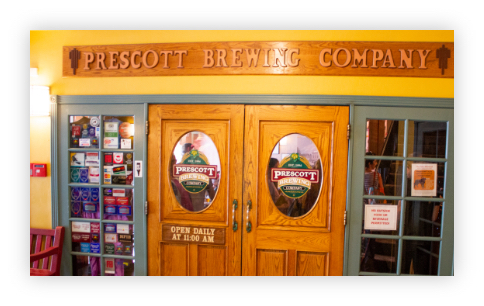 Where else would you take them but Prescott’s own Prescott Brewing Company! 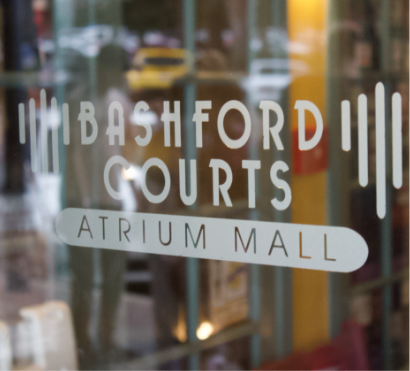 Welcome back to the Bashford Courts blog! How are your resolutions going? Sticking to ‘em? 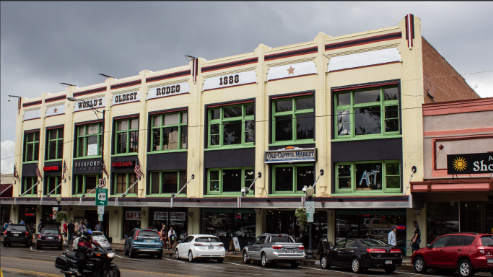 Well this time we wanted to give you the low down on our favorite place to grab a pint! For almost 25 years (the anniversary is fast approaching, March 15th! 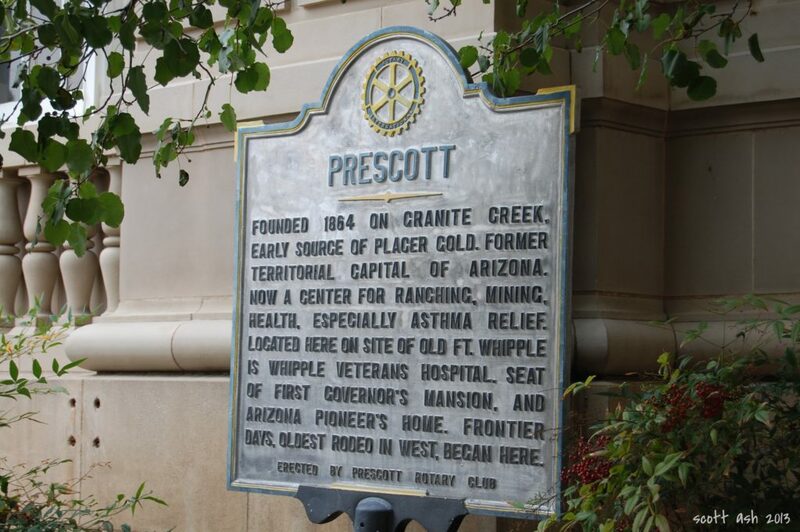 ), the Prescott Brewing Company, or PBC, has been an amazingly successful hometown brewery! While there have been some zigs and zags since first opening (there were originally plans to open up a facility on a nice plot of land, the economic downturn of 2008 put a wrench in that plans) the PBC has stayed the course, and not only survived but flourished! Now they occupy a wonderful space here in Bashford Courts and deliver a killer menu and beerlist everyday! Here are just a few of our favorite menu items from the fine folks at PBC and their made from scratch mentality! Man, oh man, you can’t go wrong with a hot salted pretzel! It’s the perfect accompaniment when sampling a range of beers, and comes with house-made beer mustard and our favorite the jalapeno beer cheese! Our mouths are watering just writing about this sandwich! Thin sliced beef brisket on toasted challah bun, covered in BBQ sauce, pickle chips, slices of jalapeno and red onions make this the sandwich to get when you top in! Though that pulled pork is nothing to scoff at we assure you! Looking for a classic meal to accompany your beer? The beer battered fish and chips come served with cole slaw, tarragon mayo, and of course wedged potato chips. 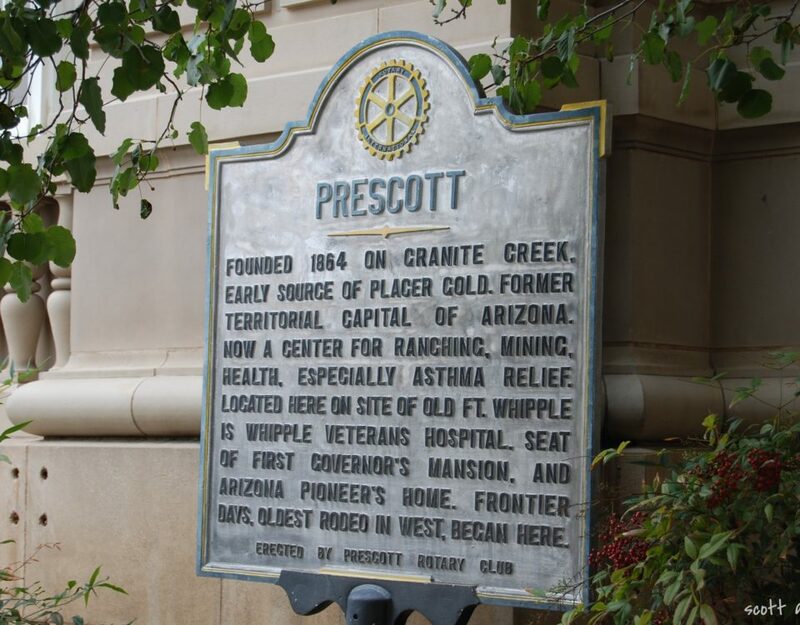 When it’s time for dessert, look no further than this Arizona frontier tradition! The pudding is made of a peaches and vanilla custard with Southern Comfort hard sauce, don’t forget to add some ice cream on top for a couple bucks more! Really, you can’t go wrong with anything on the PBC Menu, those folks know their way around a kitchen! That said, you don’t seek out the best Prescott Brewery just for the food! No, it’s Beer time! If you get in quick, you might be able to get your hands on the PBC Christmas City Ale! This holiday ale features a deep amber color, smooth malty flavor with a bit of caramel! Spiced with clove, cinnamon and orange peel, this is a seasonal favorite to warm the bones! Looking for something a bit darker? Check out this American Style Black IPA. It’s dark in color, average to high in bitterness, but is balanced out with caramel and roasted malt flavors. We can almost smell it right now! This brew has been under development for over three years while the brewers sought out perfection. It paid off! This blend of bitter and dark chocolates take the classic porter to a whole ‘nother level! You can even find it in 12-ounce cans to take home with ya! This has been only the briefest of overviews on the PBC menu and beer list, and just like their menu, the beer list changes often so call ahead or check online to see if your favorite brew is on tap! Meanwhile, we got a lunch to get! We’ll see you back here next time on the blog, and if you go to the PBC, tell ‘em the Bashford Courts Blog sent ya! It’s always a delight to come in and see what new offerings are available, they change the menu about twice a year, as well as seasonal options to keep everything fresh! Though, you can always count on a delicious meal!